The Switch has provided good business for many officially licensed accessory manufacturers, so it's no surprise there are plenty of other companies out there now attempting to cash in on the success of Nintendo's hybrid console. 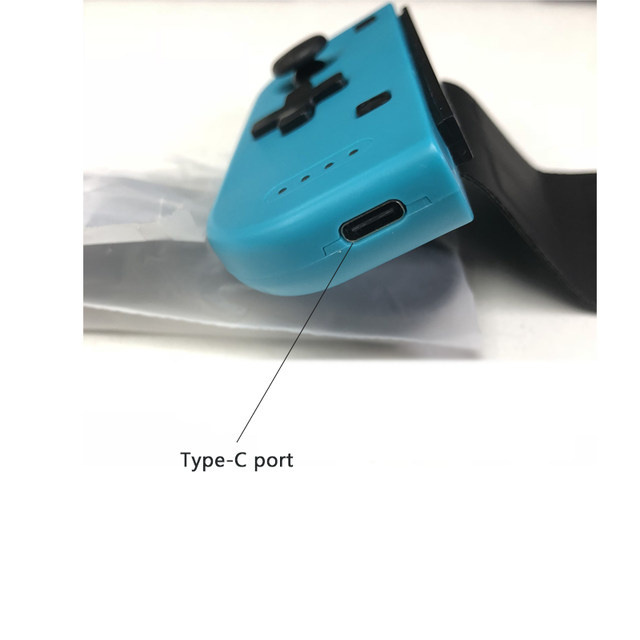 There's even a Type-C port built into the controller, as it is unable to charge off the Switch directly. The company behind it claims the battery lasts up to four hours. Noticeably it replaces the buttons on the left Joy-Con with an actual control pad as well. 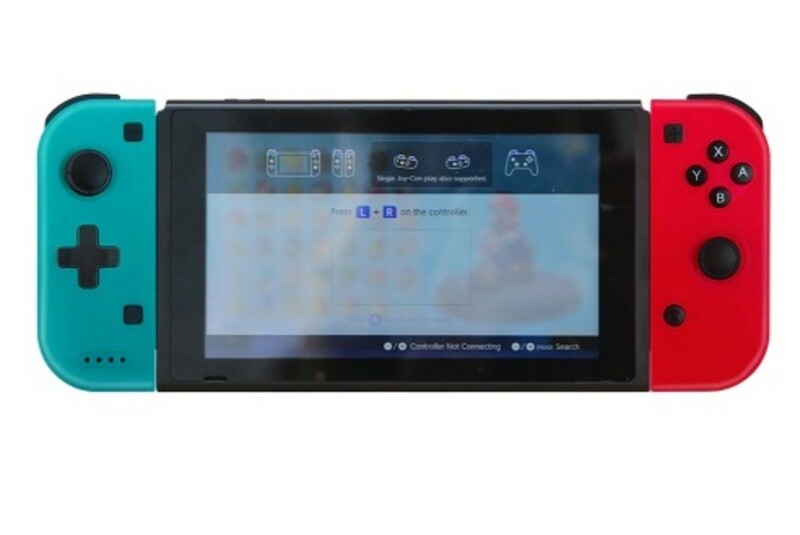 The controller is available in the standard neon red and blue colours, or there's the option to go with a transparent design and coloured buttons. As honest as the descriptions above make it sound, we can't say how safe this controller would actually be to use with your Switch. If you want to check it out, visit this website. The price alone should be enough to discourage you. This isn't the first time we've stumbled across a product such as this - earlier in the year, we spotted a knock-off Ouya controller doubling as a Switch Pro pad. Take a look at the "Wireless Controller" in the gallery below and tell us what you think about it in the comments. When the Switch turns into the Wii. It just gets worse from here. The one and only thing they have going for it is having a USB-C charging port on them... or only on one of them? Because reasons? It's a very minor complaint, but I dislike that you need a joycon grip to charge joycons off the console. Weird but it has a real Dpad!!!!!!1!! Frankenstein is the name of the Dr, NOT the monster! Where’s Etika the Eviscerator when you need him. Why need this when the Switch comes with two Joy-Con??? @MarioFanatic64 You do realise some people want to have additional Joy-Con controllers, right? @Gold_Ranger yet people get it mixed. Isn’t the monster just called Frankenstein’s monster? Its a poor mans joy con. Right. Frankenstein was the dr. And this is a terrible creation. Hence “Frankenstein creation” used here is correct. This controller is a monster, made by the dr. Reading rainbow. Wire there people trying to con people. Someone needs to control this! @Hunt3r_Cr0wl3y I'm pretty sure @Gold_Ranger was making a Doctor Who reference from when the Doctor met Mary Shelley. I don't get all the hate. 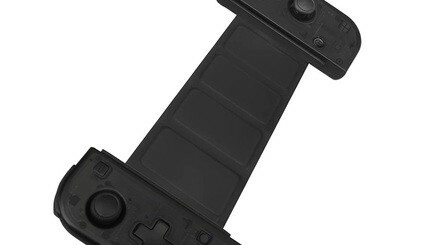 Aside from the fact they missed the opportunity to move that right stick to where people's thumbs could comfortably fall, which Nintendo blew themselves. Meh. Lasts up to four hours? The regular ones last waaaay longer than that. @nonprophetmusic u mean side by side like PlayStation controllers? I like the Xbox thumbstick layout, personally, but it doesn't work well while trying to grip the switch well enough to make certain you don't drop it (cuz it's heavier and/or wider, than I'd prefer, which makes it awkward unless i am laying on my back & balance it on my stomach or something). So, are you saying the right thumbstick should be moved up to be even with the left? I'm just curious what others may find comfortable. Looks like an exact copy of the Wikipad (it even had a d-pad and that ugly black strip in the middle) which Nintendo strangely got sued for with the Joycons (which looks nothing like the Wikipad). So I'm guessing the Gamevice people will just ignore this one copycat and go after Nintendo instead. 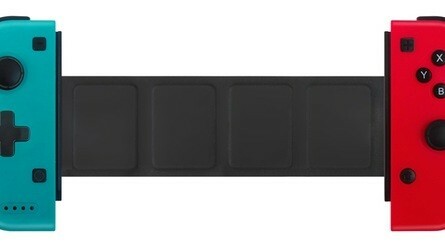 A third party company makes a controller and you're just throwing up your hands and giving up on the console. My god you people are pointlessly dramatic. Maybe not exactly this, but like this. As someone who has had two left joy cons mess up, cheaper options are nice for replacements. How ever, this..does not look like something I'd ever wanna buy. Plus with how easy to seems third party things brick a switch I'd be to scared to try it. @AugustusOxy If I was giving up on the console, I would have compared it to the Wii U. I’m just saying, this proves that the Switch will have many dreadful controllers and peripherals, like the Wii. If they’d made the buttons bigger I might have been really interested in this. 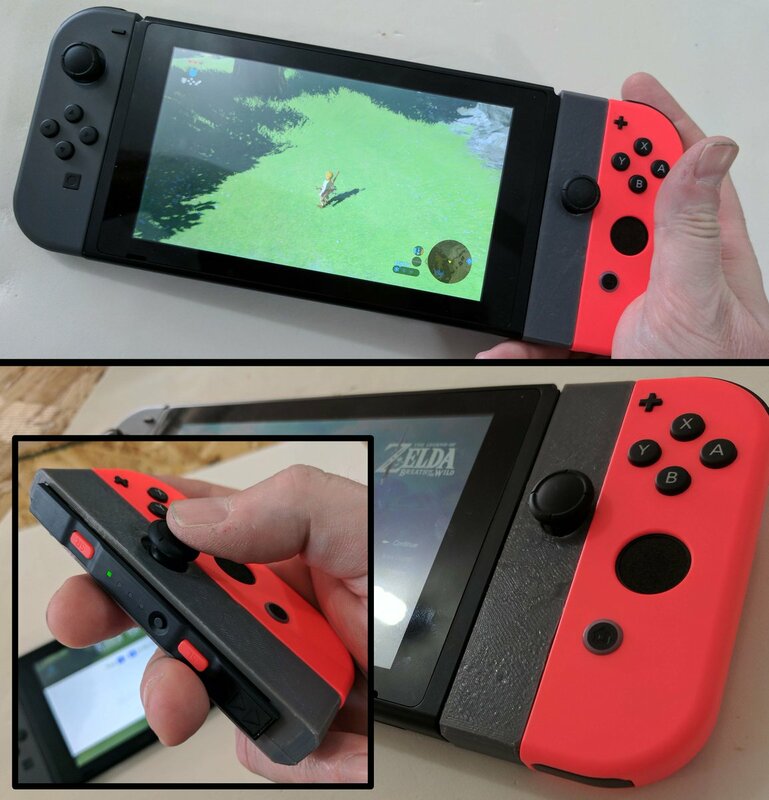 The standard Joycons are too small for my hands! Seeing as these aren't made by Nintendo, it's pretty irrelevant. I don't think a console's quality can be diminished because people make unofficial peripherals for it. @Spudworthy It appears the humour of my original comment has been drained away. Of course it doesn’t diminish the console, at least not to a great extent. It’s the same issue as shovelware, just a ton of unnecessary rubbish. I actually might get this. It's pretty good in price, and I like the black ones because they have colored buttons and they are see-through. I don't really see what the huge issue is. Given the prices that every console maker demands for controller nowadays I'm always happy to see more options. @nonprophetmusic that looks pretty shoddy. Here, if you're looking for a better grip style for your Switch, you might be interested in this. I've personally ordered one and can't wait for it to arrive! We can't say how safe this controller would actually be to use with your Switch. Yet you just spent an entire article advertising it. Why all the clickbait articles like this, lately? While I don't want to prevent anyone from trying to make a living by manufacturing stuff... good Lord, is this this ugly. I see no reason to want this over actual JoyCon to be honest. Coming from a personal experience: no cheap 3rd party controller has ever been as good as a 1st party one. I’ve had some for the original playstation, wii and one wii u pro controller knock off too. And I’ve come to conclusion that I’ll only buy official controllers as they are the only ones that I think are good to play with. Durable, buttons feel responsive, etc. That said, I have never tried any of those expensive premium 3rd party controllers that even have customisable extra buttons. I don’t need those extra features (and extra price) even if those controllers were good. But my point being, a controller is not a place I want to cheap out and try to save money. I’ll save it elsewhere, like buying games used or later when the price drops. But I think Nintendo should make an alternative pair of joy cons. One left that has a real D-pad, located where the stick sits now. For those platformers and fighters. Then another one moving the right joy con a bit upwards. To suit more solid FPS-playing. Then people could mix and match those with the regular ones to suit each game and playstyle. A charging port on the controller itself is something I wish Nintendo had thought of. I think this controller is awesome! I hope it comes in other colors. Those thoughts aside, the controller needs to come down in price. Something like 25 USD would be perfect. @Gold_Ranger I’m not sure if it’s been edited since you saw it but the writer says ‘A Frankenstein creation’ - which is correct!? It's a wireless controller, not sure how it won't be safe for Switch...? I mean, it shouldn't make any contact with the Switch directly, the joycon rail is probably just a piece of plastic to stay attached. 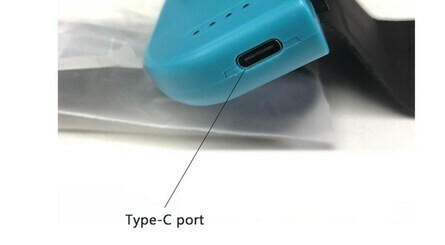 Which is also why they have USB-C port to charge, since it won't charge from being attached to Switch. 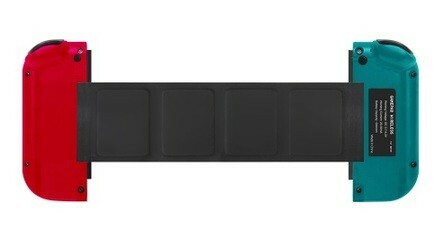 And also make sense to have a strip on the back which should house a cable connecting both ends, because essentially, this is a single controller split into two sections. 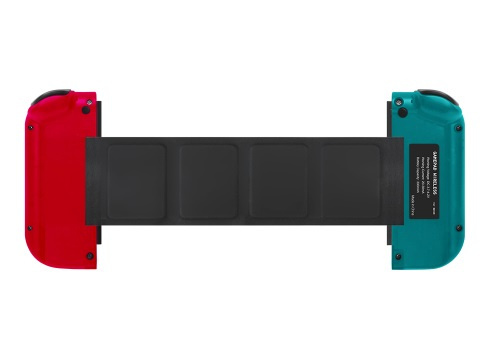 It's misleading to say it is a separate knock-off JoyCons connected by a strip, it is a single controller split into two sections to mimic two JoyCons. Ladies and gentlemen, the Nontendo Swetch. @ThanosReXXX are you a moderator? Because I always see your comments on here. Ugly and “up to” four hour of battery is crap for a controller. Heck in some cases they might die out quicker than the console with that runtime. @Abes3 it only has one of each the top two buttons are + and - buttons. And Zelda is the hero trying to save the princess, but I can't remember her name. @RobbWes Haha, no, I'm not, I'm just a longtime member. You can recognize moderators by a star next to their name in a comment. Just look for comments from Octane and Yosheel, and you'll see what I mean. 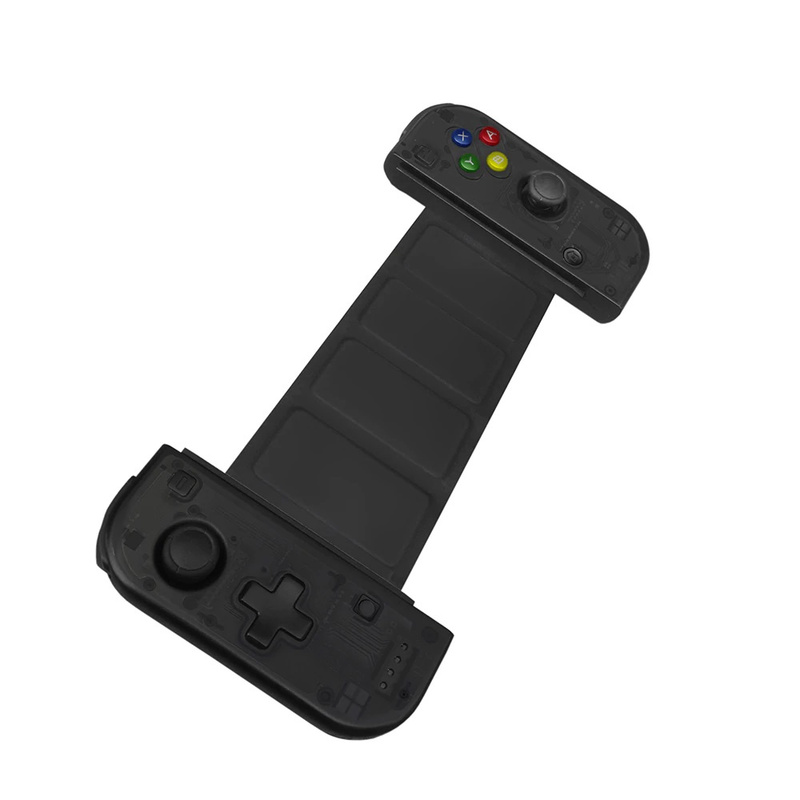 If Gamevice was to sueing; it would be this considering it works just like the Gamevice. I don’t see any reason why they want to sue Nintendo over the concept of the Switch, and compare it to the Wikipad, but I see a good reason why Time Owner should be sued. So to retro_gamer_22, you are not alone. @nonprophetmusic ahh, ok. So, more horizontally than what i was thinking you meant. I was thinking you could've meant the buttons should be below the stick, which I didn't think would have made much difference except for those who have never used an xbox generation 1, 2, or 3 controller. I do think the placement in those pics wouldake a difference & be better. I have the same hamd cramped all up issue on vita, tho, so i didn't figure anyone was complaining about that issue much any longer, possibly due to the age of the targeted audience & possibility of people giving the switch a pass by saying it was made for kids (or kids were more of the target audience. Nintendo never liked to admit it had adult fans in the past, so i can admit those arguments aren't out of the realm of possibility). They couldn't use that excuse for Vita since that was marketed & pushed by gaming media sites as a more or less adult device, which the audience eventually adopted, whether it was true during development or not. No one knows if that was true for Switch development either, as smaller is usually necessary for portability, & we don't know if it was pushed back against because adults would find it uncomfortable. Smartphones sell & they don't have the slightest compromise for adult sized hands, fwiw. @retro_player_22 i was just about to say, "the developers can expect lawsuit soon, then," after seeing your pic.